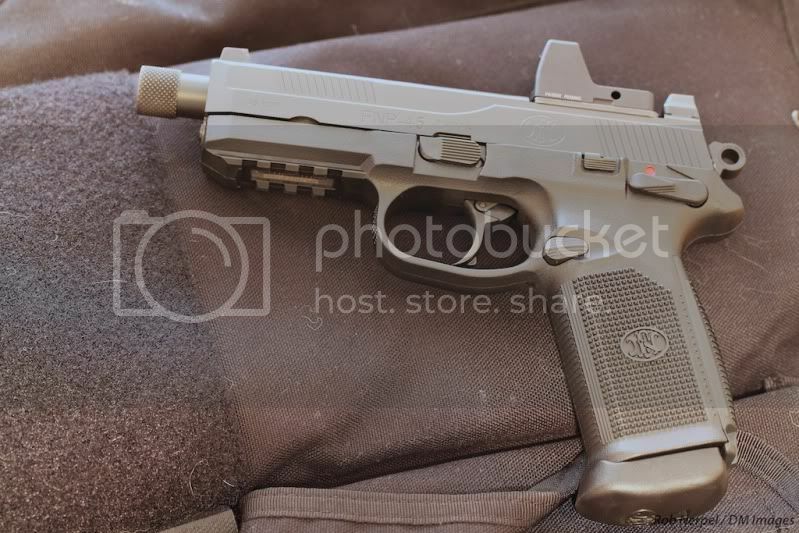 I was on the fence between the 45 Tactical and a PS90 (in OD green to match my Five-Seven). I decided to go 45 Tactical because it would be a little cheaper... silly me. I ended up buying the 45 for $969 (plus tax) at the Mesquite Rodeo Gun Show then (obviously) dumped another $450 on a Trijicon RMR (w/battery, no on/off) for it. What an awesome set-up. I had it zero'd perfectly but then noticed the RMR was so loose it was almost ready to fall off (after 100 rounds). 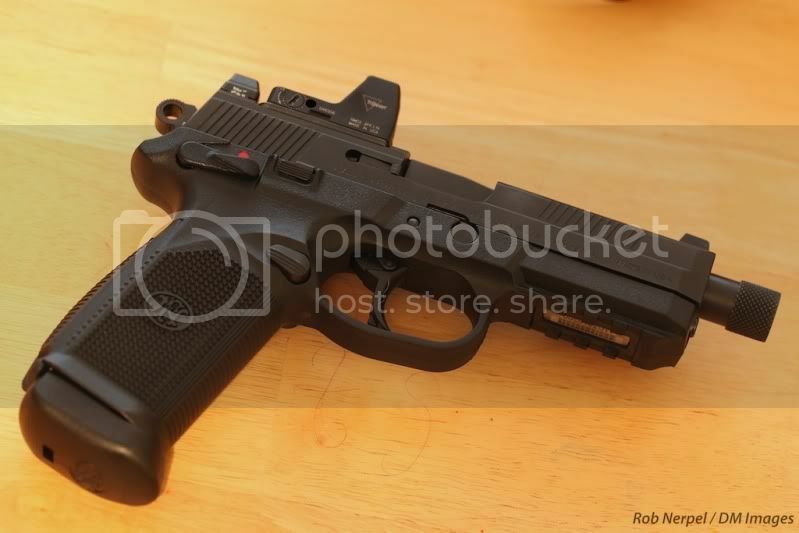 So, after some blue Lock-Tight on the screws I am ready to shoot it again. A full report and pics later in the week. This is probably of of the coolest guns in my collection now. Just an awesome weapon. Congrats though! Sounds like a nice setup. Yea man, you cant do that too us. WE NEED PICS! 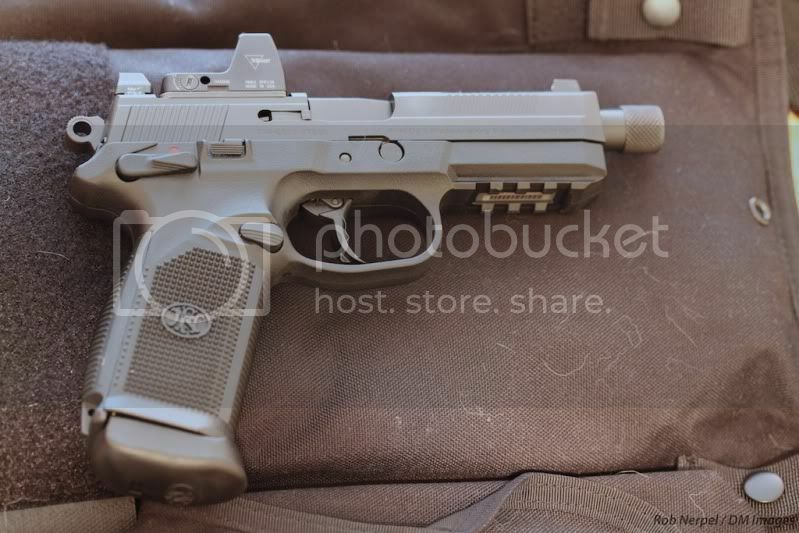 This WILL be my first .45. I love that gun. Congrats man! I will post-up some pics tonight guys. It is a very cool looking set-up. I haven't posted pics here before. I need to figure out if I need to host somewhere else or if I can post up directly. Deathmaster wrote: I will post-up some pics tonight guys. It is a very cool looking set-up. I haven't posted pics here before. I need to figure out if I need to host somewhere else or if I can post up directly. Nice! I worked too late to take pics. Hopefully, tonight I will have time. 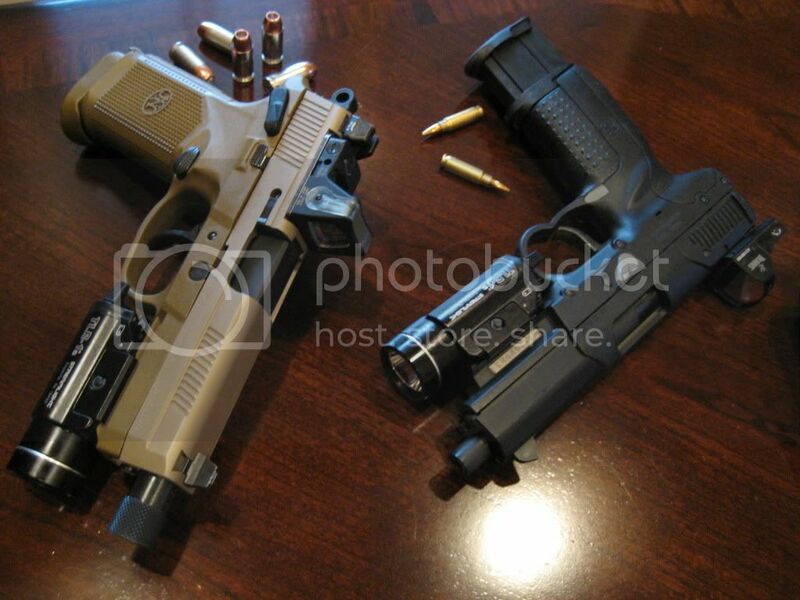 Mine is black and my Five-Seven is OD Green. Thanks for helping me out bro! Here she is... I was too lazy to drag out any lights so these are just ambient light. Death, you are one of the fortunate. does it co-witness with that spacer? srt-4_jon wrote: does it co-witness with that spacer? Yes. That plate comes with the gun and is specifically designed for the RMR.